Enjoying science in the nation's capital. 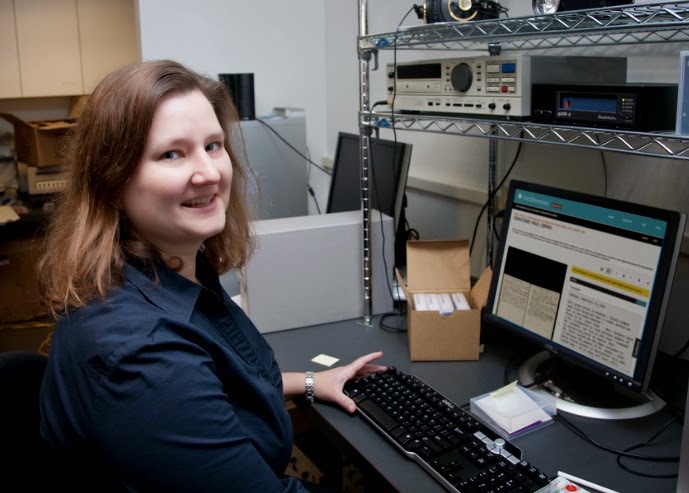 A few weeks ago the Smithsonian announced it's Digital Volunteers program. This has been in the works for a while as the institution has taken high-resolution pictures of many important books in their collection. This includes lab notebooks and field journals of Smithsonian scientist, as well as handwritten specimen cards and other scientific writings. Now that those works are digitized, the Smithsonian needs your help reading and transcribing what's in them. It's like a personal behind-the-scenes tour of the collection. Only with this tour you also make the discoveries! Our sister site OpenScientist just did a full review and even has great directions for getting involved. It really seems easy for most people; the toughest part is just reading some of the messy handwriting used by those early writers (now I understand why my own teachers used to stress handwriting so much!). So if you have any interest I definitely recommend checking it out. Neil DeGrasse Tyson Coming to DC! Next February, Haydn Planetarium astronomer and "Cosmos" TV host Neil DeGrasse Tyson will be performing his Star Talk Live series from DAR Constitution Hall. This is a rare opportunity to see the nation's preeminent science communicator live. 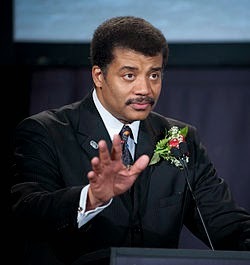 For more information on Dr. Tyson visit his page on the Haydn Planetarium web site. For tickets to the DC show, visit the TicketMaster site here. Finally, keep up on ALL DC-area science lectures on our Events Calendar page. Smithsonian Sleepovers for Adults...Good Idea or Bad? The overnight adventure will begin with a champagne reception and music provided by the 12th Night Jazz trio in the Theodore Roosevelt Memorial Hall. Explorers can expect to roam through the nearly empty halls of the Museum, where they might run into a herd of elephants in the Akeley Hall of African Mammals or come face to face with looming dinosaur skeletons, including a 65-million-year-old Tyrannosaurs rex. DC's own Smithsonian Natural History Museum has offered a poular children's sleepover program for years, allowing them so sleep around the centerpiece elephant and tour the exhibits at night. As of this writing a few are already scheduled on the ScienceinDC Upcoming Events page while the kids are home for Summer. But is it time for adults to get their own night too? Speaking from my own experience, Natural History is a wonderful place to visit at night. Many years ago my wife's firm held an after-hours event there and we toured the exhibits all by ourselves. Though not a sleepover it did last late into the evening, and we were allowed to wander. It was a fantastic opportunity. Viewing the Hope Diamond is already an amazing experience, but spending time together alone with just you, your soon-to-be-wife, and a friendly security guard (at a respectful but secure distance) is a wonderfully romantic moment. There are no pushy gawkers or inane comments from tourists. Perfect for letting the wonders on display wash all over you. And no need to speed read the explanations...take all the time you need to truly understand each artifact. But what do you all think? Would you attend an adults-only museum sleepover? Is this best left for the kids? Have you also toured late at night? Let me know in the comments below, and hopefully the Smithsonian is listening! Welcome to the brand new Science in DC blog! Much improved for your reading pleasure. Science in DC encourages people to explore all the science and technology opportunities the DMV (DC-Maryland-Virginia) area has to offer. While most people are familiar with the Smithsonian museums, there are many other large and small centers with world-class exhibits. The National Geographic Museum takes you to the intersection of discovery and science. The National Arboretum and Botanic Centers let you soak in the beauty and abundance of nature. The Koshland Museum offers materials from the National Academy of Sciences. And that's still just scratching the surface. Science in DC loves a great museum, but there is so much more too. As a center of political debate DC attracts a wide range of world-class speakers to the area. So not only can you learn about cutting-edge discoveries here, but you can learn it from the discoverers themselves. Add to this the wide variety of sciences of interest in DC (from medicine and geology to astronomy and physics), and each year this city has a speaking roster that is second to none. All reasons this city needs the Science in DC blog. But we have undergone some changes from the initial version. and that site's previous look-and-feel. While I've tried to maintain many of the good aspects of that site, I've also tried to considerably upgrade the functionality and tie it closer to the existing OpenScientist blog. Hopefully this will not only ease the posting process and encourage more frequent updates, but also highlight the citizen science opportunities in our area. So you can not only learn about science and see it in action, but you can participate as well. All three legs of the science participation stool! Washington, DC is truly a great city for science. Won't you join me in discovering it all? Do you live in the Washington, DC area? Are you interested in discovering all the science-related lectures, exhibits, and events available to you? Then stick around and help us create a community of science lovers in the DC area. I'm a science lover living inside the Beltway. By day I am humble Federal employee combining my policy and research interests for a major research funding organization. By night I'm just a regular member of the public who enjoys learning about, teaching, and discovering science. I have also been an avid Citizen Scientist for over ten years and have chronicled those adventures at www.OpenScientist.org. ScienceinDC keeps expanding and we need your help! If you live in the Washington area, love science, and want to try your hand at some blog writing, let me know at ScienceinDC@gmail.com. There are many things I want to do with this site and not nearly enough time to do them. But if you share this passion maybe we can work together to promote and support science in the DC area.